The United States Consumer Product Safety Commission recently issued a press release regarding the $1.825 million civil penalty facing major appliance manufacturer LG. According to the CPSC, LG Electronics Tianjin Appliance Co., Ltd., and LG Electronics USA Inc., agreed to pay a maximum of $1,825,000 civil penalty in association with a failure to report defects in certain dehumidifier models. The CPSC alleges that LG intentionally failed to report a defect and an unreasonable risk of serious injury with several models of dehumidifiers, even though it is required by federal law. These defective dehumidifiers caused fires and resulted in millions of dollars worth of damage. The CPSC claims that certain LG model dehumidifiers were manufactured with defective fans. The defective fans caused the machines to overheat, smoke, melt or catch fire. The CPSC warns that these dehumidifiers pose a serious fire and burn hazard risks to consumers. Under federal law, LG should have reported this defect to the CPSC immediately, but did not. Reports indicate that LG was receiving complaints about the faulty machines as early as 2003, but a recall was not initiated until 2012. During this time period, there was more than $7 million worth of property damage and injury expenses to consumers. 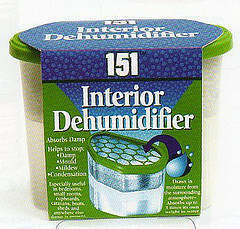 Many of these flawed dehumidifiers were also sold under the Kenmore brand name. Manufacturers are required by law to make sure their products are safe for consumers. When these products are not safe, manufacturers also have a duty to report any and all defects. This includes initiating recalls to protect consumers from known hazardous and defective products. If you or someone you love has suffered injury or death due to a dangerous product in Inverness, Crystal River, Beverly Hills, Lecanto, Homosassa, Dunnellon, Hernando, Sugarmill Woods, Citrus Springs or Floral City, please call a Citrus County Injury Lawyer at Whittel & Melton at 352-726-0078 or contact us online for a free consultation. We can help you understand your rights and what steps to take next.